Got a family plan with Spotify or Rdio? Now everyone can beam their tunes to Sonos whole home speakers—for better or worse. 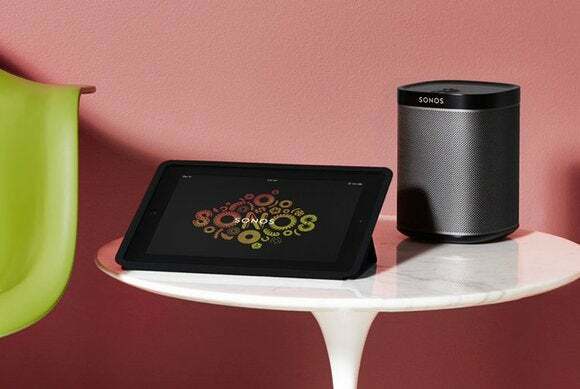 Sonos’ 5.2 software update adds support for up to 32 music service accounts, including multiple accounts from the same service. For instance, you could have three different accounts for Pandora and two accounts for Spotify, each with its own preferences and playlists. Users can set up accounts through the Sonos Controller app for Windows, Mac, iOS, or Android. After signing into any music service, users can give it a nickname for whatever family member it’s tied to. The app allows one account from each service to be the default option, and all search results will come from this default account. The update also includes some big improvements for Android users. Sonos now supports music playback straight from the lock screen on Android 4.0 and higher. Some devices running Android 4.1 and higher can also control music volume from the lock screen using the hardware volume buttons. As a result of lock screen support, some Android Wear smartwatches may include playback controls as well, though Sonos says this isn’t an officially supported feature. Sonos’ Android widget is also getting an upgrade, with the ability to switch between playback rooms straight from the home screen. Other features in the update include audio balance and EQ enhancements for Playbar owners, and a tweak to search functionality that shows duplicate track listings when they’re available from multiple sources. Why this matters: With Spotify and Rdio both offering discounted family plans, it’s nice that users can finally access them separately through Sonos’ speaker system. The feature should also come in handy for Pandora, which learns from each users’ tastes over time, and for Google Play Music, which can have an entirely separate library of songs for each user.